Are your loved one’s inheriting a huge tax bill when you die? 2. Hopefully paying no more tax than they have too. Point number 2 is generally what my client’s perceive as offering them more value. After all, not many sane people want to pay more tax than they need too! However, for whatever reason this precedent seems to fly out the window when we’re talking about what happens when we’re no longer here. “I don’t care about the tax! – I’ll be dead”. It amazes me how much I’ve heard this over my time in this industry. 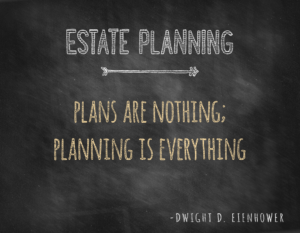 It shocks me when I ask clients about their Estate Plans, their Wills (if they have one) and the taxation consequences of their death when they do eventually pass on. Sometimes it’s been considered. A lot of the time it hasn’t. My mate, who for the purposes of this story we’ll call “Marty”, sees me every year to get his tax return lodged. He’s roughly the same age as me and during this particular financial year his father had passed away from a terminal illness. His father, who’d been been sick quite a while, was retired and well over preservation age – the age where you can access your super tax-free when you’re no longer working. You can imagine my surprise when Marty turned up to his tax appointment with a whopping big payment summary from his father’s superannuation fund. Yes, you’ve got it; it’s taxable when you’re not a financial dependent of the deceased and the money’s still sitting in the fund. I rang the financial planner who had been working with his father (yes, his father had paid a financial planner manage his estate), and what he told me left me gob smacked; Marty’s sibling had exactly the same payment summary. Without being too specific, the tax paid on the funds disbursed from the superfund was in excess of $500k. If Marty’s father, prior to dying, had satisfied all the conditions of release (which he did) and withdrew the entire amount out of super (which he could have), it would have passed to his children 100% TAX FREE! The word “DISASTER” doesn’t even begin to explain the situation! The tax consequences on your superannuation balance is but one part of what needs to be considered in preparing an Estate Plan. Nearly everyone we encounter has super, and a fair chunk own property. Both could be taxed on disposal after death, or both could be tax free.